Last week we introduced part 1 of our 3-part blog series titled “Same yet different: What Europe can teach North Americans about the hygge lifestyle”. We focused on one of the key highLIGHTS we took away from the Ambiente trade show: Europeans care more about lighting than North Americans! 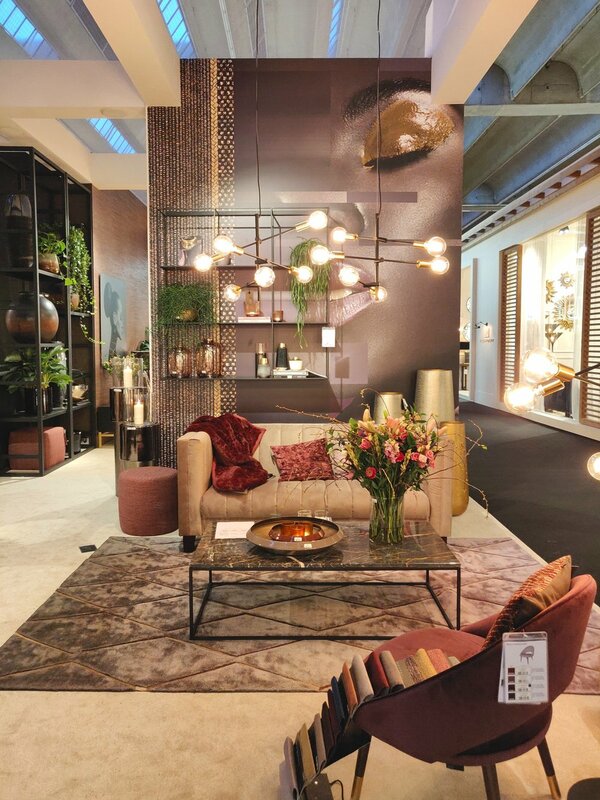 We covered some of the trends we saw at the show, and talked about how you can change up some lighting in your home, and to make light fixtures an integrated part or style feature of your space. 1. 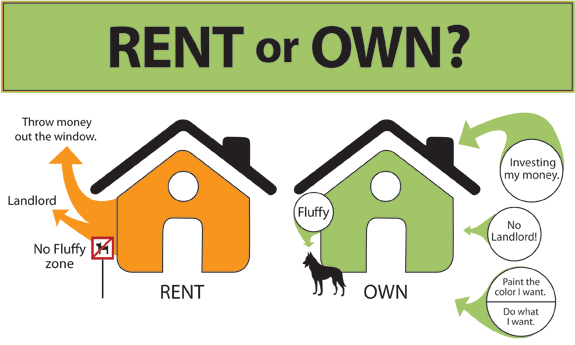 The age old debate: own or rent? In Canada, roughly two thirds of properties are owner occupied**. (67.6%). Several European and Scandinavian countries like Norway (82.8%), Finland (72.7%), Belgium (71.3%) and Sweden (70.6%) sit comfortably above that percentage, while others, notably Austria (55%), Germany (51.9%) and Switzerland (43.4%) have a larger portion of the population renting their homes. In countries like Germany, it seems the pressure to own property is not as big of a priority, and many young adults and adults alike prefer to rent over purchase their property. Comparatively, in North America, home ownership is treated as the pinnacle of adulthood - if you are not feverishly saving for a down payment on a home or already in possession of one, it’s almost like you haven’t quite made it yet. This is primarily because owning a home is less about having a home, and more about having your first real financial investment. Although the housing market goes up and down in cycles, owning a home is considered the ultimate goal of adulthood after one lands their first “real” job. Rent longer than you need to? “Why are you throwing your money away?” parents often ask. While this attitude persists, there is a changing trend in larger cities, where the rising housing market is pricing out the younger generations of homeowners. Despite higher rates of renting apartments and flats, it seems the commitment to geographic mobility isn’t as common among Europeans. In North America, those who live in apartments often do so knowing that they will not be there for long. This affects how one views this space as their home - if you live in a space knowing you will leave in 1 or 2 years, you’re far less likely to really settle in, decorate, and design the space to be exactly as you want it. Why paint a room if you aren’t sticking around? Why change out light fixtures (if you are even allowed to!)? Further, while North Americans typically sign up for leases a year at a time, in countries like Belgium, that is considered a “short term” lease, with most apartments offering 3 or even 9 year-long leases. Now that is commitment to an apartment! However, if you are agreeing to a space for 3 to 9 years, it may be easier to put the time and effort in to make it personalized and to your liking. While concept of home ownership is so ingrained in North American culture, if you do own a home, it is also a financial investment. Many adults buy homes with the intent to eventually sell them - either to build equity and move up the housing chain (condo → small home → large home), or because the likelihood of moving (either by your employer or to take a new opportunity) is high. Often, this leads homeowners to be less inclined to really decorate the home for themselves, but rather, keep everything clean and neutral for the next potential buyer; whenever that may be! So neutral walls, basic fixtures, and boring lighting is the standard. That is what often sells - a clean slate. If neutral walls are a must, use your unique style to bring your personality to your home by hanging art and nostalgic items. One of the core concepts of hygge is making your home a space that you feel at complete ease in. Using lighting, furniture, textiles, and personal items and artwork, you can create your space to meet your needs. So, do you really think you have committed to your living space, or are you ready to pick up and move at a moment’s (or a month’s) notice? Do you see yourself living there in 5 years? It doesn’t matter! You should put all the energy and efforts into your space as much as you are able to. Regardless of the temporal nature of your living situation it is YOUR HOME, and you should strive to be as happy with it as possible. Invest in your home to LIVE in it, not to maximize its resale value! Verdun owners members (and frequent models) Kevin and Lindsay on the banks of Copenhagen, Denmark. Dear readers! It has been some time since we updated our blog, but the team at Verdun HQ has been hard at work to do our best to bring Canadian hygge to you, fellow Canadians! 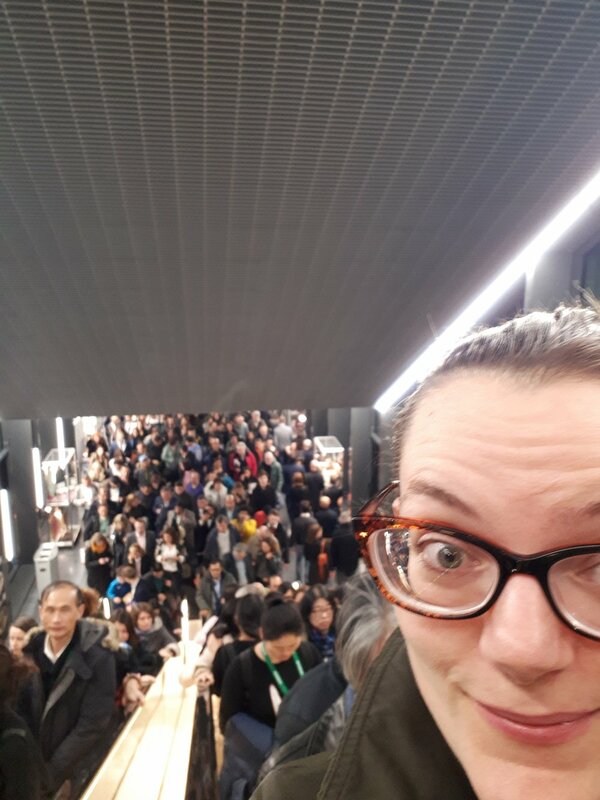 In early February, we traveled to Europe to soak up a bit of European charm, some hygge from its homeland, and to the attend the Ambiente 2019 trade show, one of the largest gifting, living, and design trade shows in the world. Ambiente was an impressively large event, filling up 12 of the buildings (some with multiple levels and halls!) at the Frankfurt Messe (Fair). The sheer size of the event was intimidating at times, with thousands and thousands of vendors and visitors alike. Booths were larger than life, with the biggest vendors often having a small cafe and bar within their space, offering potential customers a coffee or prosecco to ease deal making and networking along. Vendors pulled out all the stops, creating beautiful little (or large) pockets for people to experience their company’s offerings. One of the many beautiful displays. A beautiful table setting display. A lounge to take a break and chat with colleagues. Lava stone table lamps! An example of amazing lighting options. Sustainable and natural fibre-based lighting was a big highlight of the event. A bar inside a stunningly designed booth. The masses patiently waiting to leave at the end of the day. For Verdun, we were looking specifically for some items that we can bring to the Canadian market to help Canadians experience true hygge in their homes. We looked at furniture, lighting, and textiles. Some new and upcoming trends of note included a focus on lightbulbs as a design element and not just a light source, and using recycled plastic to create new textiles, including throws, pillows, and rugs. As a result of this experience, we distilled some of our thoughts on both hygge products and designs, as well as the hygge lifestyle, and how it is lived every day in Europe. So, for the following 3 weeks, we will be publishing a series of posts titled: Same Yet Different - What Europe Can Teach North America About the Hygge Lifestyle. Stay posted, as we will release these posts every two weeks! To keep in touch with us and to find out when we post, please sign up to our e-mail list at the bottom of this page! Subscribers always get a little hygge tip, and special offers to our store. We look forward to sharing our newfound knowledge and inspiration with you all! Do you have any home design and hygge tips you’ve gained while traveling the globe? Share them in the comment section below - we would love to hear from you! You may have seen the jumbo knit throws around for some time now, gushed at them, and then thought to yourself: but how would I use this?! Well rest assured, there are many ways you can add luxury to your day to day life with this throw. Here are the 4 main ways that we use them in our day-to-day life! Coffee, a book and a jumbo throw - the perfect start to a weekend. This first use is the classic no-brainer way to use these throws. Especially as the winter comes along, many of us experience drafty windows, making it chilly to stay put in one spot (ie. the couch) for long periods of time. This is completely counterproductive for a winter TV and movie marathon! The throws are so thick and warm that they will keep you toasty despite any temperature drops or drafts in your home. Cozy up under over 2kg of 100% super fine merino wool, and you simply will not notice the cold any more. The only downside to this way to use our throws, is that people are prone to napping once cozy and under them. However, afternoon napping on the couch is a favourite past time for most Canadians, making this a truly Canadian Hygge activity! Besides, that is what the rewind button is for! Cold toes are simply not an option when a throw with this weight is covering them all night long. I think it is universally accepted that one sleeps better when the room is cold, and the bed is layered with blankets to create the best, most snuggly, warm sleeping cave. If you drop the temperature at night in your home, and like bundling up the duvets and sheets on your bed, but still struggle keeping your toes toasty - we have your solution. Our super chunky throws are perfect to lay across the foot of your bed, and retain the heat so well, your feet will never complain again. Also, the weight of the throws are a very comfortable weight on your legs. A perfect end to a long day on your feet! Fair warning, getting up in the morning is slightly more difficult when faced with such ultimate sleeping comforts. Imagine this: in a house full of friends and family, all the seating gets taken. Your beautiful hardwood floors are just that - beautiful - but not warm and comfortable. Using the throw as a cushion on the floor is an effective yet less obvious use for the throws. The thickness and density of the throw lend it beautifully to acting as a soft and forgiving barrier between yourself and the floor. This is especially cozy when placed in front of a lit fireplace. Again, fair warning, this is a very nappable situation! A throw on a chair is the perfect addition to your Hyggekrog - a cozy, Hygge-filled corner in your home. It is also a sure-fire way to draw the eye’s attention. The last way that we use our throws is as a key design element in our rooms. Between the huge knit stitches and the neutral and accent colours offered in the store, the jumbo knit throws draw the eye one way or the other. The are an excellent accessory to pull together a cohesive look in any room. The knit style makes it an instant classic, while the size of it makes it very modern. Ultimately, it is a win-win. As an added bonus, these throws are always - always! - a conversation starter. And sometimes a bit of envy! We’re sure you will find your own way to live in luxury with a jumbo wool throw. If it’s really not your thing - we’ve got you covered. Our 100% virgin wool woven throws make an excellent day-to-day companion for all of your bundling, cozying-up needs. A book, a mug of tea, a cozy throw. This is true comfort!